Heavy-duty three-hole punch drills up to 40 sheets of standard 20 lb. paper. Preset to punch three-hole pattern for three-ring binders. Built-in paper guide ensures perfect positioning. Oversized handle allows easy open-handed punching and locks down for storage and safety. 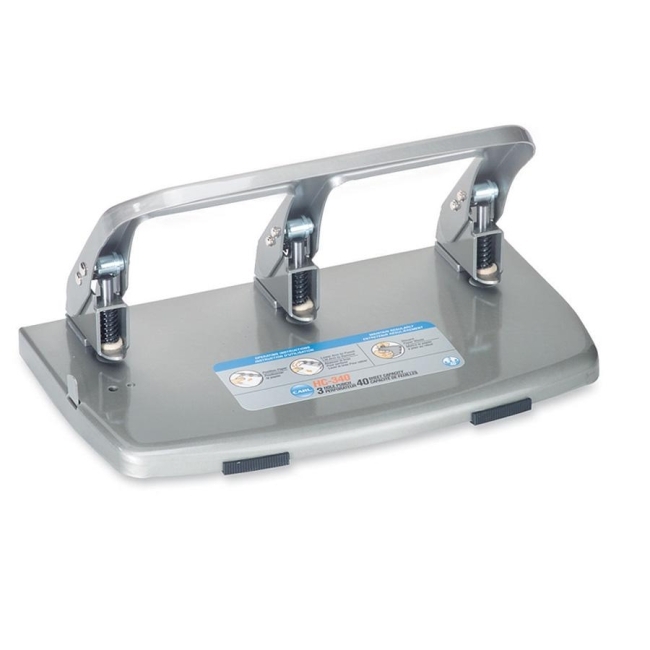 Hole-punch offers a large capacity waste tray and heavy-gauge steel construction.